My neighbors tree fell into my yard and caused damage. My insurance agent is being vague. How can I be liable for his tree? A fallen tree from your neighbors yard lands in your yard, but his insurance doesn’t pay. Once you know the whole story it does make sense. Reader Question: If a fallen tree from my neighbor’s yard, or a huge branch damages the fence or wall between our houses or my pool or pool equipment is he liable? My insurance agent gave me a very vague response about the insurance adjuster determining liability. How can I be liable for his tree, or any part of it, falling and damaging my property? Monty’s Answer: The reason for the agent’s response may be that they did not want to break the news to you. It is likely that your insurance company will pay for the damage. Or perhaps, it is as simple as the insurance company not wanting the agent to be speaking for the adjuster, who may have a different opinion than the agent. Remember that the agent is in the sales department and the adjuster is in the risk management department. The insurance company may want the adjuster to view the damaged items in person prior to anyone commenting. If you have a tree on your property, and it falls on your home or other structures, like a fence, there is coverage under your homeowners and subject to the deductible you have chosen. If you have a tree in your yard, and it falls on a neighbor’s home or property you have no liability, and your neighbor’s home insurance policy would cover the loss, less the deductible. 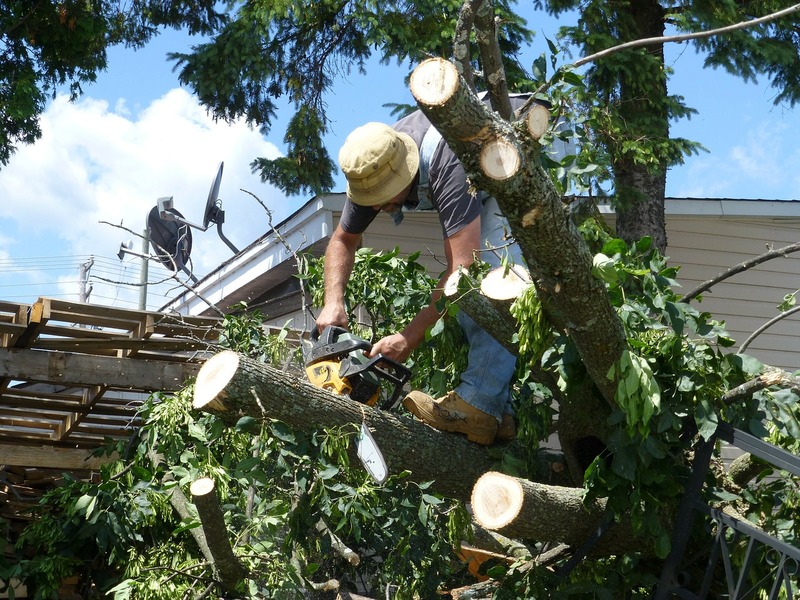 If your neighbor’s tree falls into your yard, your insurance policy covers the damage cost less your deductible. The rule of thumb is the insurance on the property damaged pays for the damage. This rule assumes the tree was alive and healthy. A dead or unhealthy tree allowed to stand or left untreated will have a different outcome. When the wind blows it down, and it hits your neighbor, it is negligence on your part and your homeowners’ policy would pay for the damage to the neighbor on an actual cash value basis. You would have no deductible. If you are the neighbor and concerned for your property and safety, consider mailing a certified letter putting the owner on notice they may have a dead or dying tree. This letter may help your insurance company win the argument over the condition of the tree in the future. If the neighbor’s house is 50 years old and not in good shape, and the tree caused ten thousand dollars in damage, their insurance company may take depreciation off the cost of repair. If the depreciation rate is three-quarters of one percent a year, a ten thousand dollar claim may only produce a partial payment, with your insurance picking up the difference less the deductible. The insurance company will pay to remove the tree the tree if it falls on a structure or driveway if you have the proper coverage. If the tree lands somewhere not on a structure or a driveway there likely is no coverage for removal. Check with the local municipality. Some municipalities have ordinances or codes that define a procedure to manage this situation. Here is a link to a tree ordinance guide from ArborDay.org that lays out the value and the issues of community involvement with trees on the public land and private property. Many communities abdicate this issue to insurance carriers. If your city has such an ordinance make certain, you understand it. Another potential source to look for addition information is on restrictive covenants that run with the land. The title policy issued when you purchased your home may have a recorded restrictive covenant that has guidelines for trees in the subdivision. It will be a surprise if there are state laws that deal with fallen trees. If the fence straddles the lot line, it is likely both parties will share the cost of repair. Buying a home with a fence or building a fence is an important reason to verify the lot lines. A land surveyor should be engaged to locate missing lot stakes (occasionally, they are removed, relocated or several feet underground). Also when building an expensive or labor-intensive fence consider insuring it as a scheduled item to avoid future challenges to insurance claims.